Happy Sunday, friends! 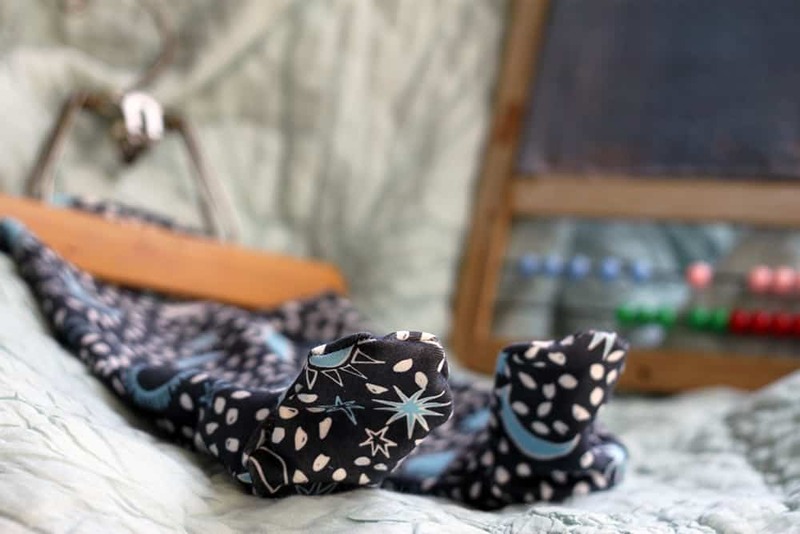 Today we’re sharing a very special baby edition of Sunday Sew. 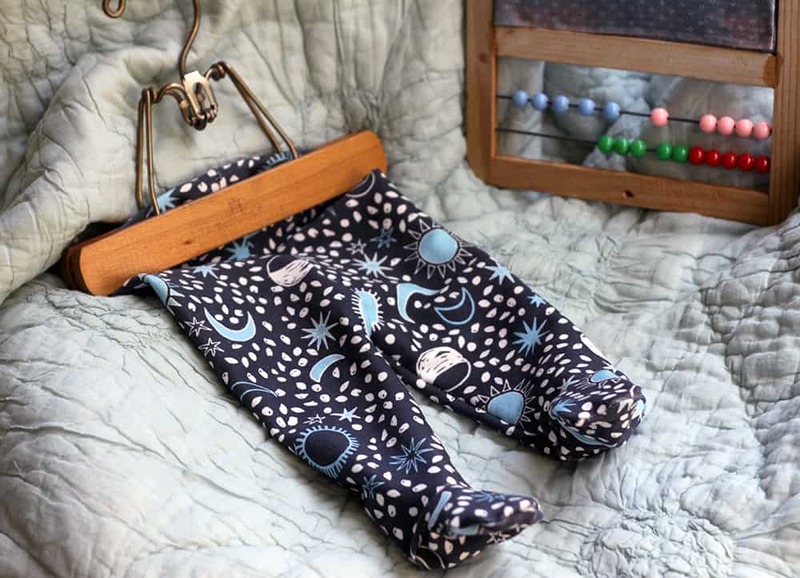 Spoonflower crew member Theresa stops by to share her experience stitching up one of our favorite patterns for babes, The Footie Leggings from Brindille & Twig. Stay and sew along, won’t you? Come November (or maybe October? We all know babies have their own schedule!) I will become the proud aunt of my second nephew. I was overjoyed and honored when my sister asked my mom and I to work together on making an outfit for little Freddie to come home from the hospital in. 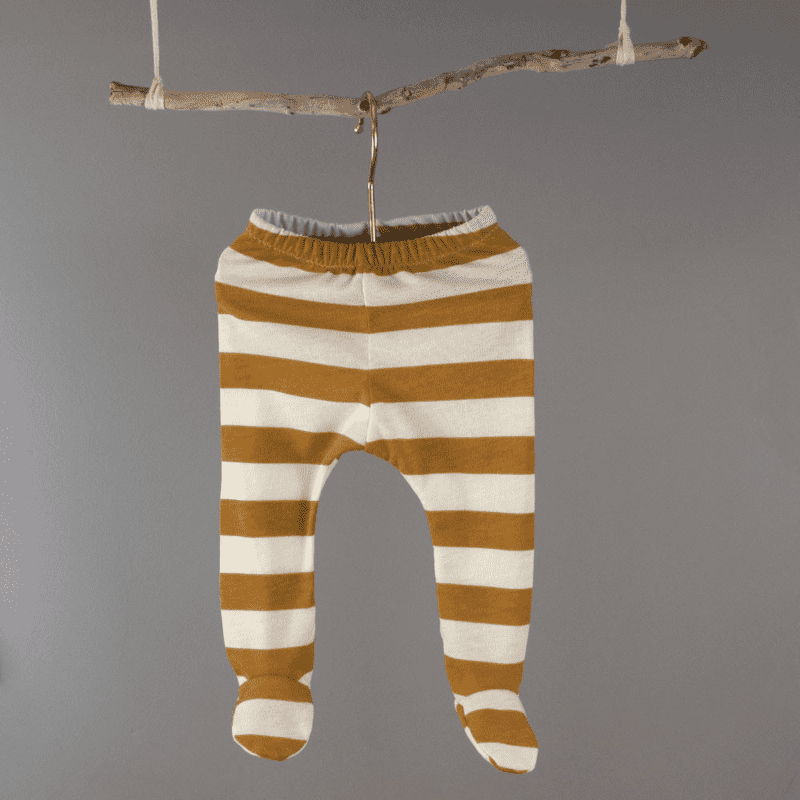 Baby’s first outfit is very important! This is his chance to set the tone for a lifetime of many dashing sartorial choices. I was thrilled that my sister chose this pattern from Brindille & Twig, because I love all of their patterns and was privy to their reputable pattern making credentials (because believe me folks, there are some ill-written sewing patterns out there in internet-land!). After much consultation, pinning, and favoriting, my sister decided on Sun, Moon, Stars in Parisian Blue designed by Andrea Lauren. So I ordered up a yard on cuddly soft Organic Cotton Knit, and washed the fabric with gentle detergent and cold water as soon as it finished printing and I could take it home. Brindille & Twig patterns are very well laid out and easy to follow. 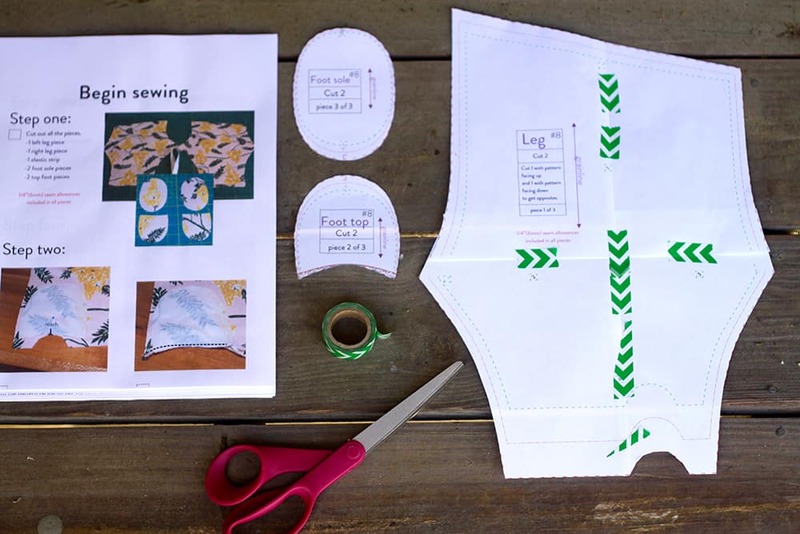 What I love most about sewing for babies is that cutting & taping their sewing patterns is a breeze! That part took no time at all. I won’t go into all the instructions and steps here for how to make the leggings. If you want to make these and need instructions, you can purchase the pattern from the Brindille & Twig site for a very reasonable price. Two leg pieces, two pieces for the top of the footies, and two pieces for the soles. I just adore the little teeny tiny footies! 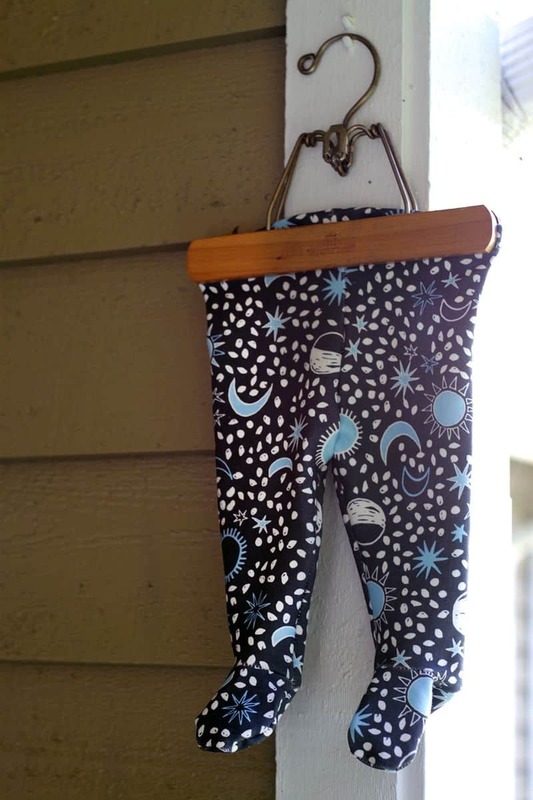 I also plan to make a few knit baby hats, and I’d love to stitch up another pair of these leggings with contrasting soles. It’s official, this baby is definitely going to be rocking a heavily handmade wardrobe if this aunt has anything to do with it! 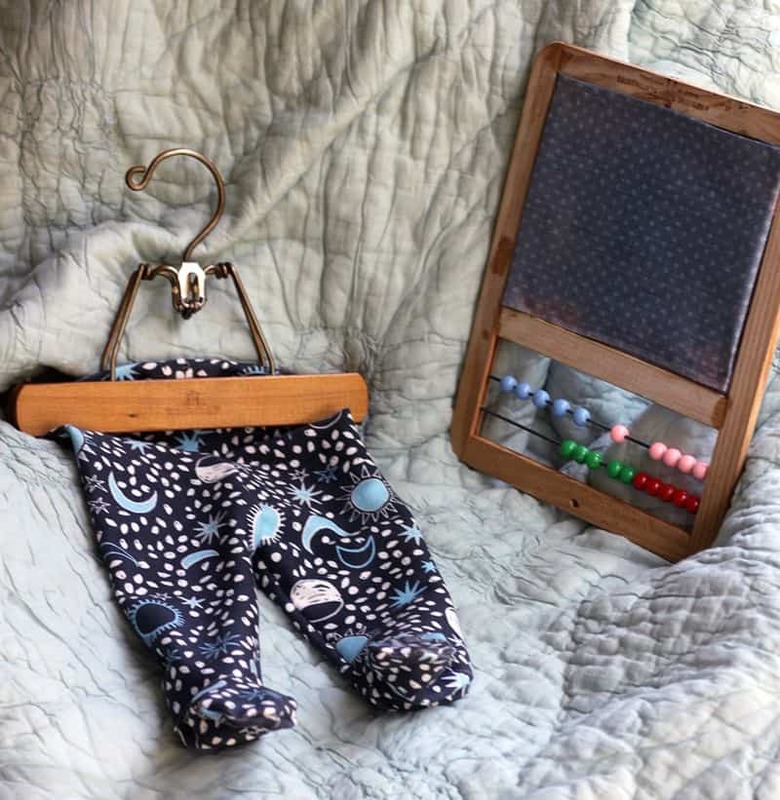 Have you had experience sewing with this pattern or do you have a favorite baby legging pattern that you swear by? If so, please share! Have a lovely rest of your weekend, and happy stitching!